Princess Cruises upcoming cruise ship Regal Princess has made another milestone by completing sea trials. The 141,000 ton cruise ship is currently being built at the Fincantieri shipyard in Malfalcone, Italy and over the past year all the blocks and elements have come into place. The ship spent five days doing sea trials which included testing navigational equipment, propulsion, steering and other engine tests. Now that the ship has completed the trials it will be docked at the Fincantieri shipyard so that personnel can board the ship and begin setting it up ready for sailings. This will include finishing the ships lunges and spaces along with the thousands of staterooms. Crew members and contractors will begin loading stock and materials to help them get the ship ready. 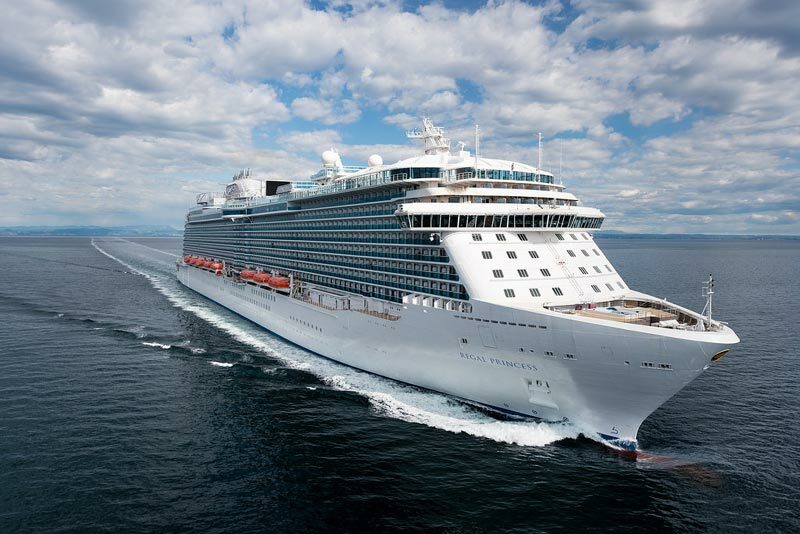 Regal Princess will make her maiden voyage on May 20th 2014 from Venice, Italy and making calls at Corfu, Mykonos and an overnight call in Istanbul. The maiden cruise will be for 7-days around the Mediterranean. When the ship begins its normal itineraries it will be sailing from Venice, Italy on a choice of two different sailings around the Mediterranean. Regal Princess will be the sister ship to Royal Princess and will offer brand new features at sea including the SeaWalk which is glass bottom deck which expands from the side of the ship by 28 feet! The ship cost $780 Million to build and will carry 3,600 passengers.